A senior member of Britain’s Labour Party says that talks of a no-deal Brexit are simply a trick by the UK government to persuade the opposition and others to vote for a deal that would come out of the current Brexit negotiations. 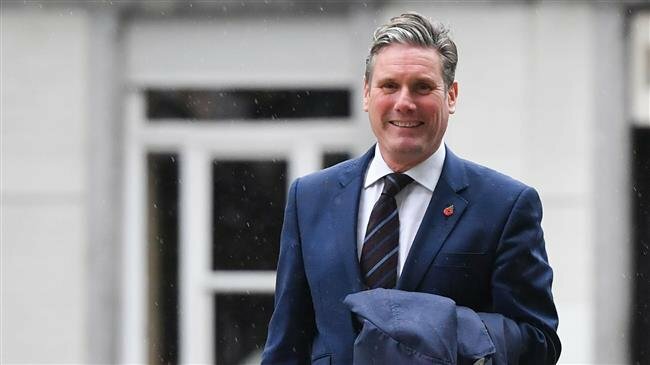 Keir Starmer, a Labour MP and shadow Brexit minister, said Wednesday that Prime Minister Theresa May was bluffing about no-deal Brexit, saying her suggestions that Britain was ready for contingencies arising out of the scenario were not true. “I honestly don’t believe any prime minister would seriously consider taking the decision to crash the UK out of the EU without an agreement,” said Starmer. “The no-deal rhetoric from the government is a bluff and we shouldn’t fall for it,” he added. May is in the final phases of talks with Brussels on clinching a deal that could guarantee a smooth Brexit and ensure that there would be no hard border between the two sides on the island of Ireland. However, the negotiations may collapse simply because of the very issue of the Irish border as the two sides keep insisting on their conditions. The British premier has to go with any final deal through the parliament before it can become operational. Labour has indicated that it would vote down the deal if it does not pass its tests. Senior figures from May’s Conservative Party have also threatened to reject the final Brexit agreement as they continue to criticize government’s strategy in the talks. Starmer reiterated previous warnings that a no-deal Brexit would deeply hurt the British economy while it could also be very detrimental to the EU. “I have never accepted that no-deal is a viable option. The consequences of no-deal would be catastrophic for jobs, the economy and for the border in Northern Ireland,” said the senior Labour lawmaker as he was visiting Brussels for talks with EU officials. However, key figures from May’s government and other political factions have warned over the past days that Britain was really heading toward a no-deal Brexit, saying that the UK and the EU will ultimately fail to compromise on the Irish border issue. Britain leaves the EU on March 29, 2019, no matter what happens at the end of the Brexit negotiations.